Over the last few years, I’ve tried to reduce the amount I bring with me when travelling, especially in winter. 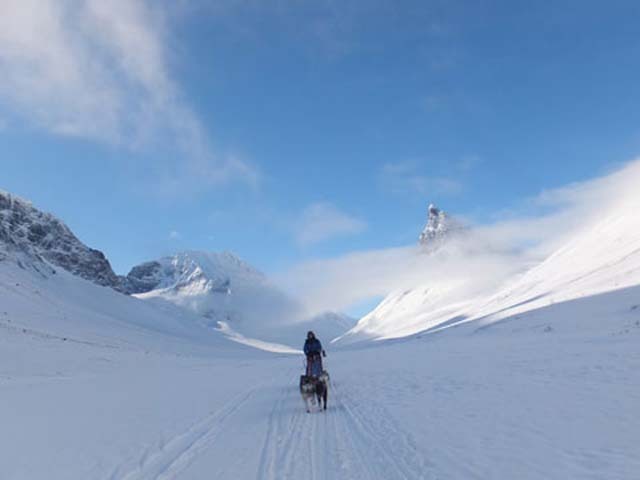 If you’re thinking of going on a winter adventure with us, such as one of our dogsled tours, and would like to travel a little lighter, here are a few ideas that may prove helpful. Why go hand luggage only? Lighter on your pocket: With more and more airlines offering “hand luggage only” luggage fares (including the recent introduction of such fares by SAS, who operate many flights to the Nordic countries, as do BA, Norwegian, Easyjet and Ryanair, all of whom also offer hand luggage only fares), travelling light will save you money. In fact, many airlines now let you take another small bag (such as a laptop bag or handbag) in addition to the standard cabin allowance. Peace of mind: Most of the time, your luggage will arrive at the same destination and at the same time as you do. But occasionally problems can occur, especially if you’re changing planes and have a tight connection – maybe you make the flight but your luggage doesn’t! This can be a real inconvenience, creating unnecessary stress at the start of what should be a wonderful adventure. In some cases, it can create more serious problems which might even lead to you having to miss your tour – for example if you accidentally packed some essential medication in your checked luggage rather than keeping it with you. Travel hand luggage only and you’ll be sure that everything you packed will still be with you when you arrive. Reduced-hassle travel: Checking in most of your luggage might make walking around the airport for a couple of hours before your flight more convenient, but you’ve also got to carry it with you to and from the airport, maybe around town, on the tube or in taxis, or on public transport if for example you’re taking the night train (as we hope you will) rather than flying. Reducing the amount you take should leave you a lot less emotionally frazzled at both the start and end of your trip. A cleaner eco-conscience: The environmental benefit of flying hand luggage only might not seem substantial, but the combined effect of hundreds of millions of people travelling lighter could be huge. For each 15kg of additional weight (a fairly common weight for a checked bag), a plane will use around 0.5kg of additional fuel per hour – about an extra 1kg on a two-hour London-Stockholm flight. If 200 passengers on the plane reduced their luggage by 15kg each, that would require 100kg less fuel for just that one flight! Specialist winter clothing is provided for all our dogsled tours, meaning you don’t need to bring bulky clothes with you. Photo: Nature Travels. Phew! You may not be quite as comfortable when actually travelling. For winter especially, you will probably have to wear that thick jacket or pair of boots that you would otherwise have packed down. And you’ll probably have to stuff a few small things into the pockets of what you’re wearing if there’s no more space in your bag. A clean break: You may have to drop your hygiene standards just slightly (let’s face it – you’re on an outdoor adventure after all – who’s really going to care if you have a small ketchup stain on your t-shirt for a few days?). Available space in the sleds is limited anyway, so you don’t need to bring too much with you. Photo: Nature Travels. 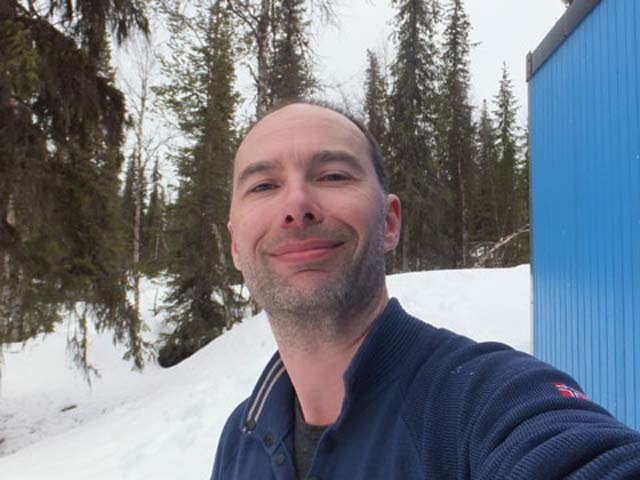 Earlier this year, I travelled to northern Sweden by flight London-Stockholm and night train Stockholm-Kiruna to take part in our 8-day/7-night Dog Sledding and Winter Camping on the King’s Trail tour, travelling hand luggage only. 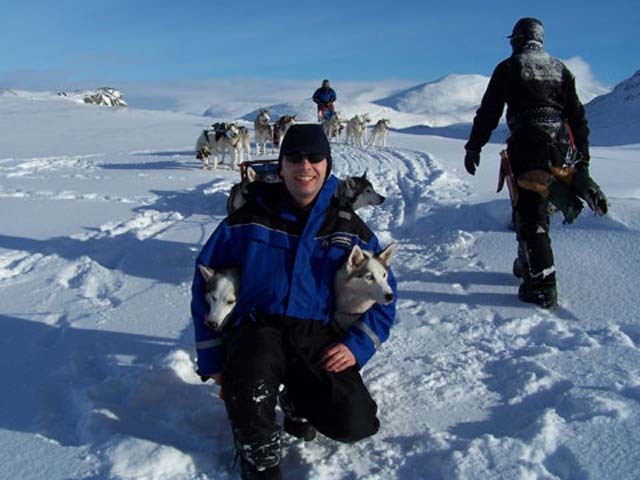 The great thing about dog sledding is that all specialist outer clothing (snowmobile overalls, warm hat, gloves, winter boots and sleeping bag) is provided as standard, which considerably reduces the amount you need to bring yourself. For this tour, towel and thermos are also provided. Two thin pairs and two thick pairs of merino wool socks (merino wool is great not only for its performance properties but also because it can be worn for extended periods without any build-up of odour). Two sets of merino base-layer long-johns and long-sleeved top. A pair of thin and a pair of thicker gloves. Some changes of underwear (I’m not going to tell you how many). Again, merino underwear is great for use on a tour of this kind. A pair of ski glasses. Personal toiletries: toothbrush and toothpaste, a small tube of suncream, lip salve, a few First Aid items such as blister tape and painkillers. I left my shaver at home and decided to grow a beard for the week. A lightweight pair of shoes to use inside the cabins in the evening during the tour. A pair of tracksuit trousers to use as a mid-layer when sledding if it was very cold and around the cabins/camp in the evening. A very small travel towel. You may have to forego some elements of modern living such as a shave if you’re travelling light! Photo: Nature Travels. A small, waterproof lightweight day pack (an Exped drypack) for a few little extras to keep separate on the plane and when sledding, which squashes up to very little when not in use. In the pockets of my jacket, I stuffed two Buffs, a thin merino beanie to sleep in and my “lucky dog sledding hat”, which accompanies me on every trip (a mid-weight hat for a spare or in case the “musher’s” hat provided was too warm, as it often is). A compact camera and mobile phone. When out on the tour itself, I left behind at the kennels the t-shirt, socks and underwear I’d travelled in, the hiking trousers, the boots, the adapter (no electricity on the tour anyway!) and the 40 litre rucksack. No packing list can ever be 100% right of course – however much or little you bring, there will always be something you wish you’d included or left behind, and the particular conditions encountered on a tour can also affect enormously the actual clothing and equipment you will use. But with the above I was sure I had enough to keep warm in any situation while at the same time not taking too much unnecessarily. All this talk of dog sledding has suddenly made me long for the snow to arrive and get packing for another adventure – roll on winter!!! ← What’s the Difference Between a Brown Bear and a Grizzly Bear?